Hello lovelies! I hope you all had a wonderful weekend! I'm still recovering from Friendsgiving last night, it was SO much fun! I can't wait to tell you all about it and share the pictures! 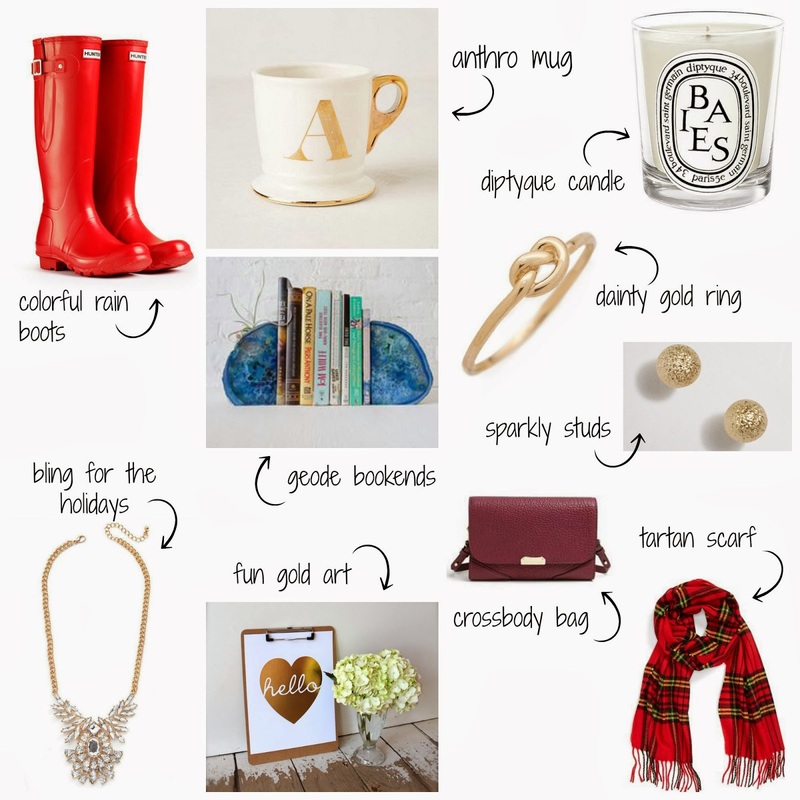 But today, I thought I'd share a little blogger wish list! Is there anything on your wishlist this year that was inspired by the blog world? I told David that all I really want is some Hunter Welly's for Christmas! I do hope they appear! So cute!! I want EVERYTHING!! I especially love the gold art! I love that gold ring! so cute! I'm not surprised that I want everything on this list.